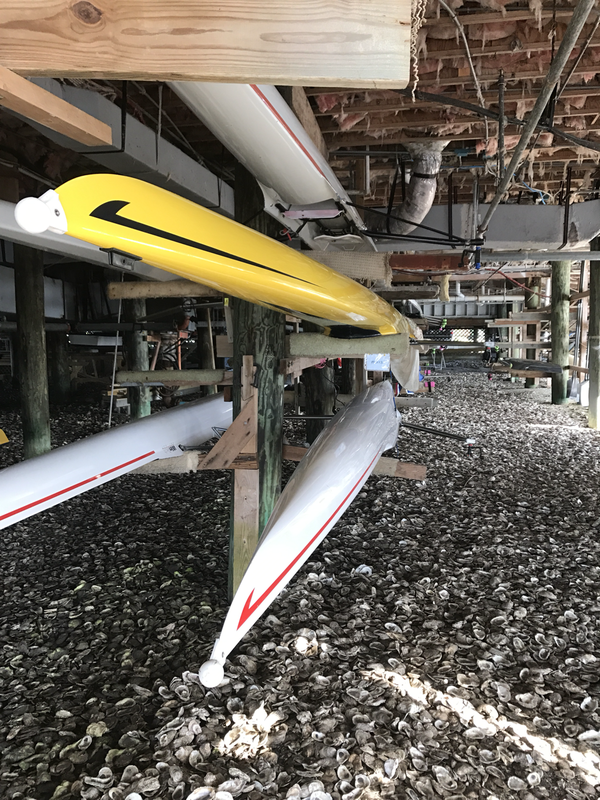 Our boathouse is the space beneath the Old Oyster Factory restaurant on Broad Creek. In addition to storing our boats and oars, we have a small platform which holds two Concept 2 Ergs. Our rowing dock is shared with the Island Explorer company which runs boat tours. Our “shoreline” is old oyster shells. 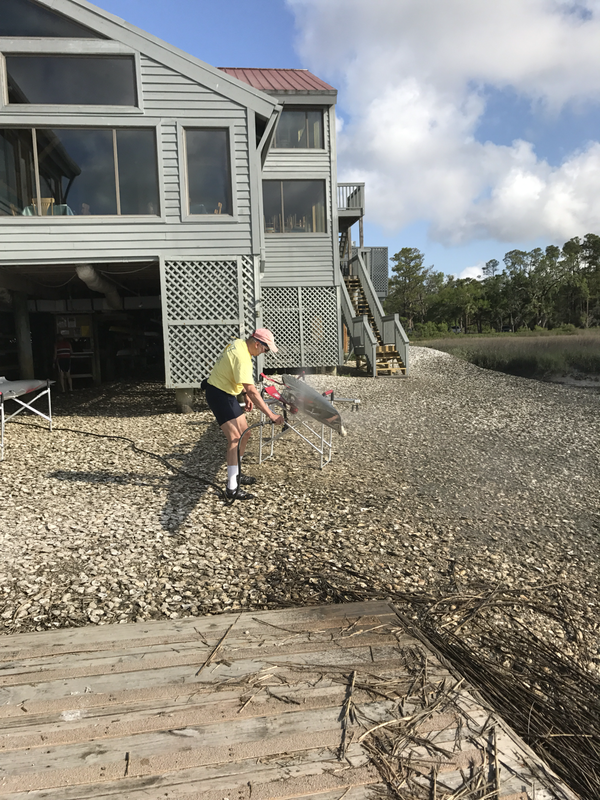 Hilton Head Island experiences an average eight foot tide, and at the highest of tides, there may be water in the boathouse.